Here at Eventhuse, we are huge fans of custom designed stag T-shirts. We’ve seen first-hand how they create a feeling of team spirit amongst the lads and lift morale in times of need. We’ve also witnessed a stag team t-shirt helping groups locate stray stags after a pint too many on a night out, so they’re practical as well! Getting team tees isn’t expensive, besides, they provide the group with a priceless lasting memento from the trip. Sometimes the simplest can be the most effective, so for a more minimal approach, just print shirts with a simple ‘Marks Stag Do – Budapest 2018’ (or something similar) on the front. But do also consider to keep everyone involved in the fun and have each lads nickname on the back. We’ve all got that one photo that makes us cringe inside and we pray never gets revealed to the world. Find your groom-to-be’s ultimate image of embarrassment and get it blown up and printed on T-shirts. It will be hilarious for you all to parade around in it on your stag do abroad. ‘I’m on a stag do and likely to be drunk, if you find me and I’m lost please return me to the boys – Sam’s stag do 2018‘. Is your stag a mad footie fan? If so then get your shirts printed in the style and colours of his favourite team but with your own names and numbers on the back. You’ll look like proper lads on tour, but that’s part of the fun of it! Set yourselves a list of challenges to complete while away on your stag do abroad. Get them printed out on personalised tops with each stag’s nickname at the top and tick-able boxes next to each task. Don’t forget to bring an indelible pen to tick off each dare as you complete them! A nice way to personalise t-shirts without being too obvious is to think of a theme that is relevant to the stag and design the shirts around the theme. Does he have a favourite movie or series? Is there that one hot celeb that he’s super into? Or a band that he’s followed forever? If in doubt, just opt for the classic traditional stag slogan tees. You know the ones, you’ve seen them around. Some options include the GAME OVER design with a cartoon bride and groom underneath; the image of a stag with THE STAG emblazoned across it; the trusty old KEEP CALM AND DRINK BEER slogan and finally our favourite: WHAT GOES ON TOUR STAYS ON TOUR. Pick a superhero that best represents the groom and then get t-shirts printed with their emblem and your names. 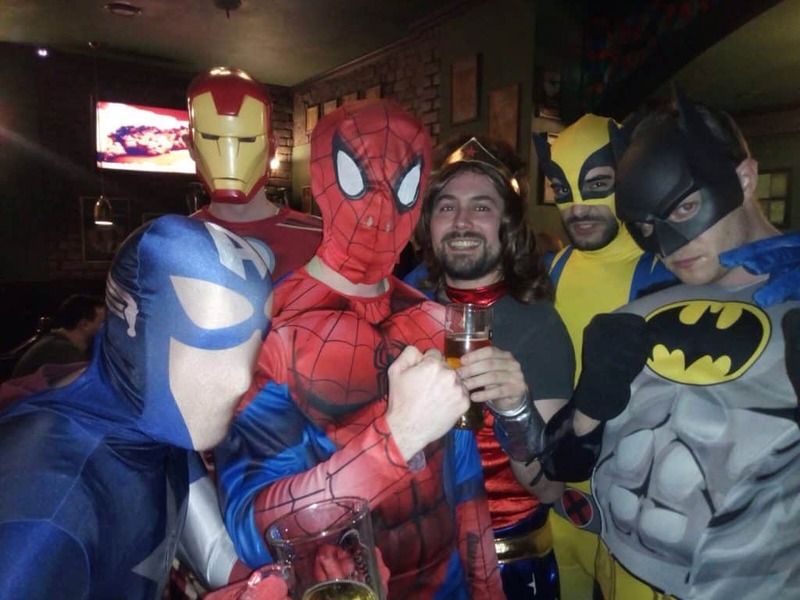 Alternatively, you could each pick a superhero and each wear a different t-shirt with an all-encompassing superhero stag team theme! With these ideas under your belt, you are all set to start designing your team’s stag do tees. 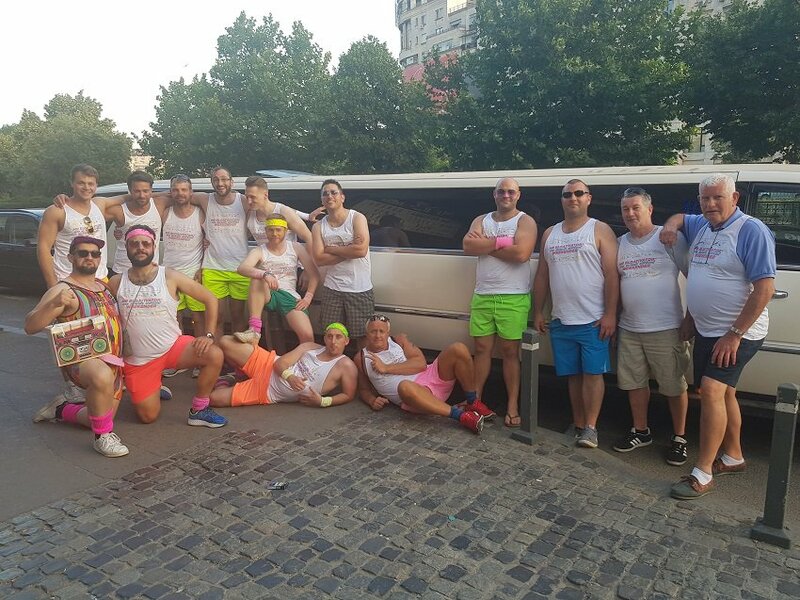 Now for the fun part; head into our website to see what amazing options we have lined up for you lads across our multiple stag destinations around Europe.